Just simply adorable! How can you resist the elephant cake – from £70. I just wanted to say that this cake is amazing. 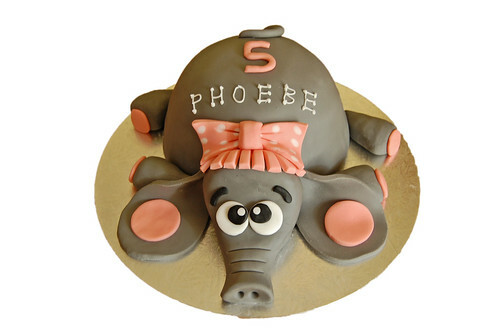 I got a request for what I thought was an odd order which is an elephant cake and so I looked at tons of photos for ideas and I keep coming back to yours. I love how you portrayed it lying sprawled as though it had fallen. Great cake, thank you much for posting it and giving me the idea.